Home ParentingPregnancy	Could it be?!?! Next week marks the official start of the 2nd trimester and I’m happy to say that I spent the past 2 days NAP FREE!!! Let me tell you, I still love to nap. So this isn’t me fighting the sleep. I just didn’t NEED it! I had lots to do and lots of energy! And today I feel great so far. It’s so crazy, every time I read something and think ‘how can they generalize so much? I am sure it will be different FOR ME” whatever they said happens like clockwork. In other news, our friend Holly let us use her rented heart beat monitor and we have been able to hear the baby’s heartbeat! It is so nice to know everything is going just fine in there. And now that I am starting to feel better, I am getting really excited! I even bought a pregnancy journal so I can remember everything. Blogging is good, but I love my baby book and prayers that my mom wrote down when she was pregnant. I want to give the same gift to this baby. 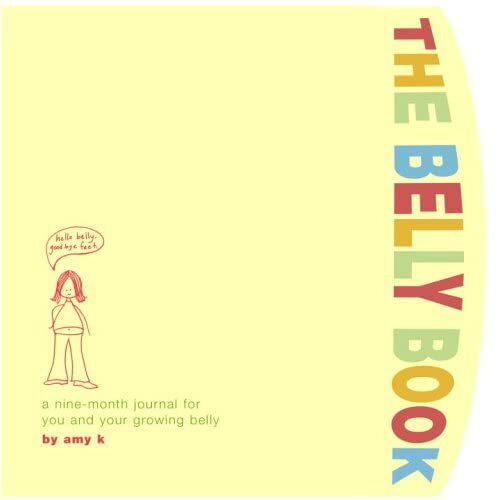 SO, I got the Belly Book! I love that it’s a little bloated and has fun colors and design rather than the super-duper cutsie stuff that is everywhere. Being pregnant is fun! That’s really cool that you can hear the heartbeat whenever you want to! just wanted to offer my lending library to you all if you are looking to find some books. i have a big bookcase full for my doula clients. and, if you need one more person’s help finding a doula, i can make recommendations, too. I have that book & I love it! Its great to keep track of everything in.